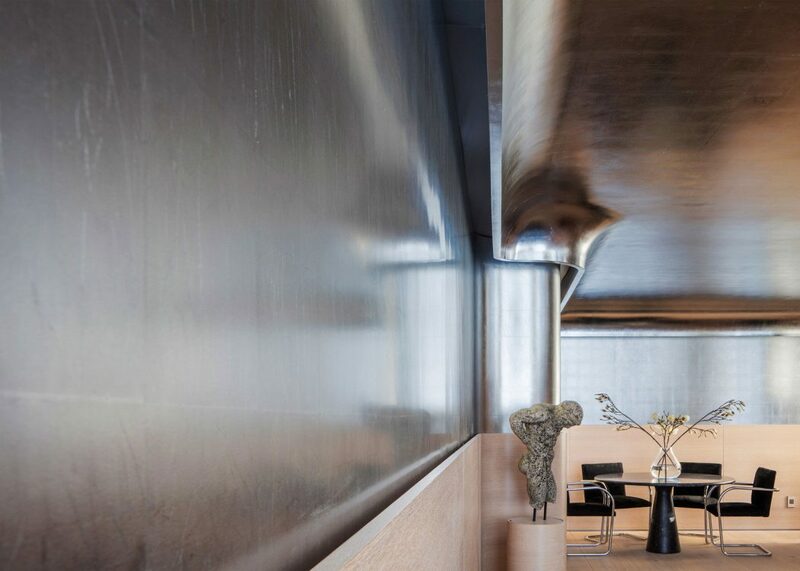 New York-based Ghiora Aharoni Design Studio has added curved oak panels and silver leafing to an apartment in an art-deco Manhattan building to better reflect its original style. 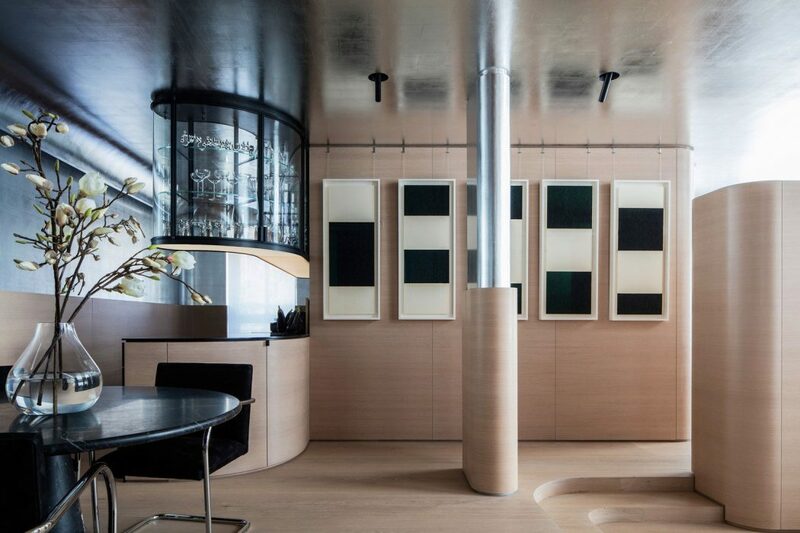 The project was commissioned by a client from Beverly Hills, who wanted their Chelsea pied-à-terre to be a “residence as a work of art”. 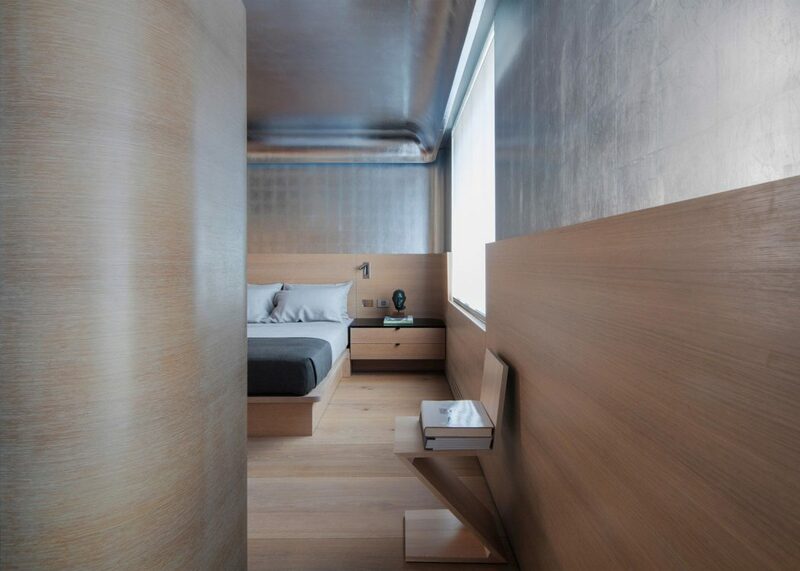 To transform the one-bedroom apartment, Ghiora Aharoni removed the partition walls to create an open-plan space that is instead divided up with built-in furniture. Silver leaf was applied by hand to the upper portions of the walls, while oak planes cover the lower halves and extend across the floor. Lighting is installed behind the wainscoting and under ceiling coves, and the majority of sharp corners are swapped for curved surfaces. 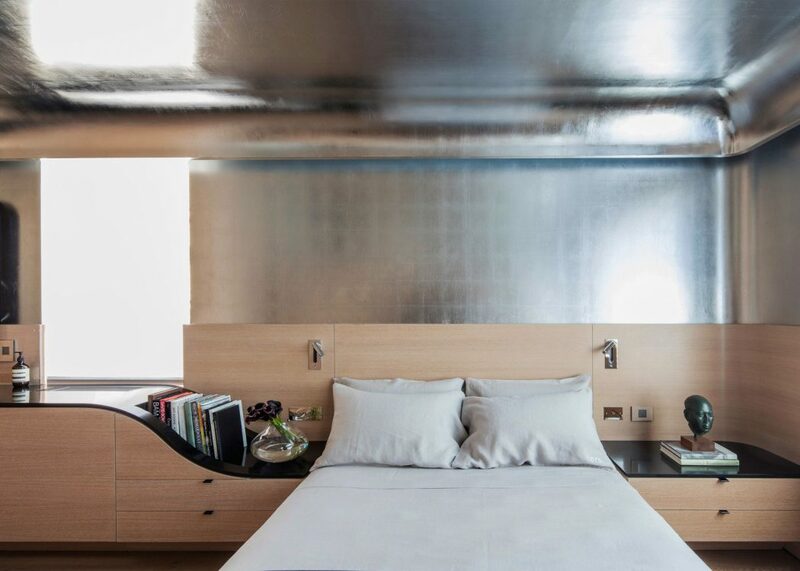 “The fluid sensation of space and light is amplified through the erasure of right angles in the apartment’s custom-built architectural elements – the walls,” said the studio. A central freestanding unit, dividing the lounge and dining area from the bedroom, has a fireplace at its centre and incorporates storage cabinets. 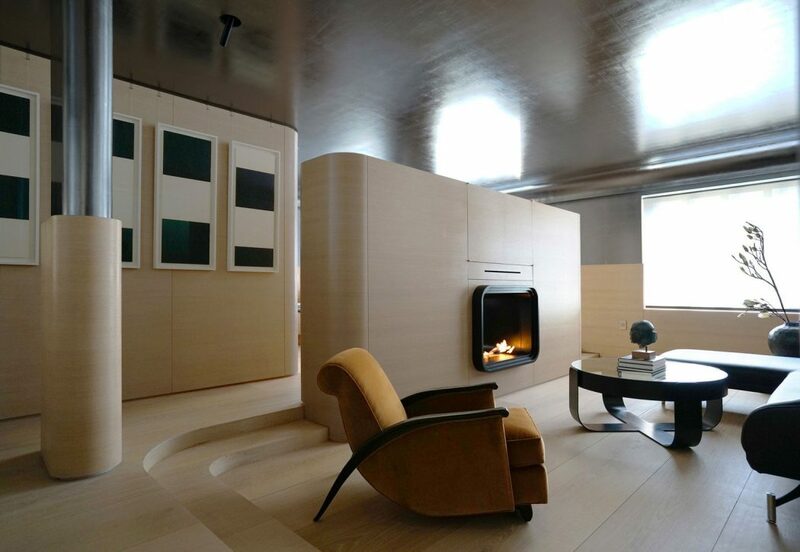 The living space is furnished with curvaceous pieces like a Swan sofa by Vladimir Kagan, originally designed in 1955, and Aharoni’s Jobim 276 coffee table influenced by 1930s Brazilian design. The bottom of an elevated curved glass cabinet illuminates a black-topped counter, which follows the same shape below. Another black surface that acts as a bedside table curves in an S-shape to become another countertop that holds a shallow sink. Behind a sliding frosted-glass door, the bathroom is lined with tiny hexagonal titanium tiles that produce a shimmering effect where the light hits them.